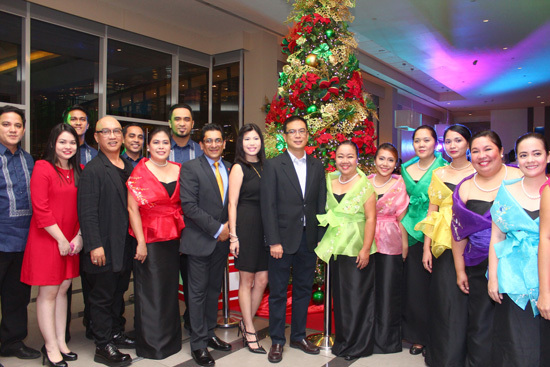 Park Inn by Radisson Davao welcomed the holiday season with its annual Christmas Tree Lighting Ceremony. 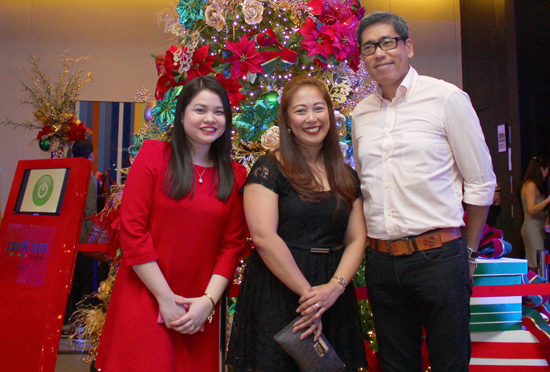 Mr. Neil Rumbaoa, Vice President for Marketing, graced the ceremony which was attended by corporate clients, media, in-house guests,VIP’s and affiliates within the SM group of companies. 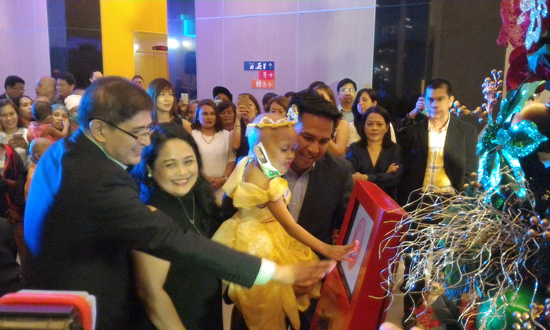 The cocktail event was also attended by little VIP’s from the House of Hope, a shelter for children with Cancer. This year, the hotel’s holiday tree and guest areas are decked in green, gold and red accents, reminiscent of a classic Christmas motif. 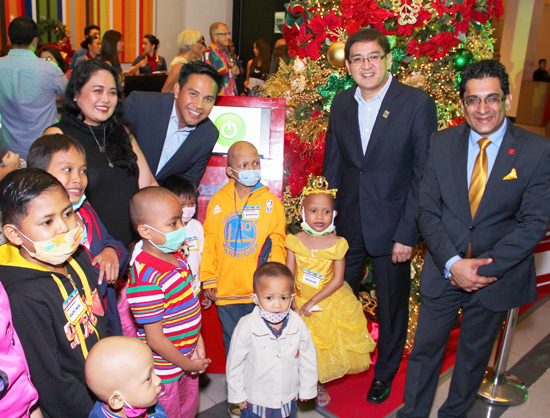 A kid from the House of Hope joined Mr. Rumbaoa and Mr. Kakar in lighting up the Christmas tree. 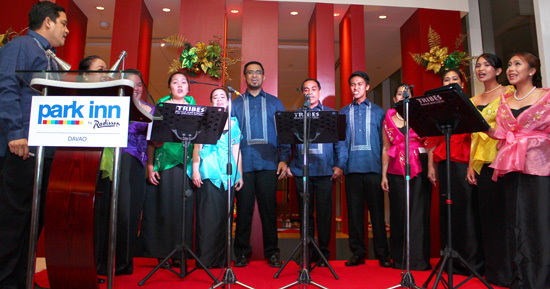 As soon as they pressed the button, Christmas lights around the hotel turned on and the TheHimig Singersbegan the choir. 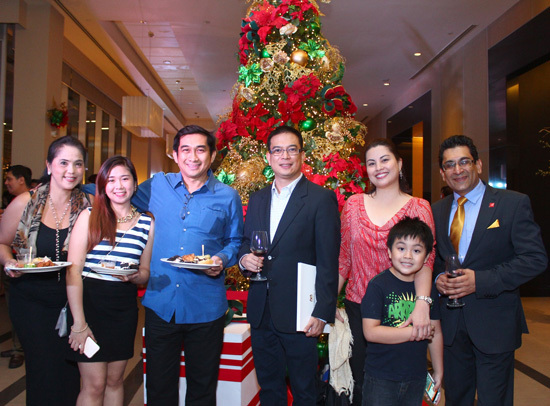 Mr. Neil Rumbaoa, VP-Marketing of SM Hotels and Conventions Corp, lights up the Christmas Tree of Park Inn by Radisson Davao. 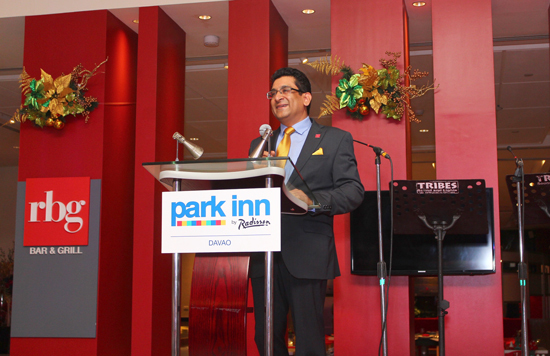 With him during the lighting ceremony are the children from House of Hope, Mr. Ludwig Federigan, VP for Business Operations of WWF and Mr. Pavan Kakar, General Manager of Park Inn by Radisson Davao. “This day is also special for us as we use the opportunity to launch our partnership with “World Wildlife Fund (WWF)”, said Mr. Kakar. 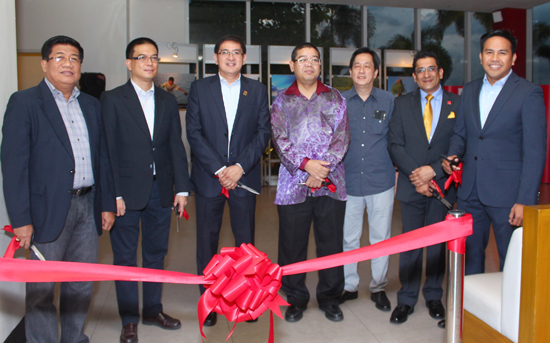 Earlier in the day a photo exhibition was inaugurated which will be in the hotel lobby for the next two weeks. 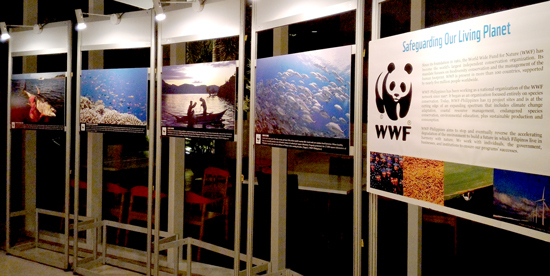 The senior officials from WWF were there in person to celebrate this occasion. The inauguration was done in the presence of Hon. Abdullah ZawawiTahirof Ministry of Foreign Affairs, Malaysia, Mr. Antonio Dela Cruz, President of Davao City Chamber of Commerce and Industry, Inc and Mr. Roberto Alabado, Regional Director of Department of Tourism, Region XI. Mr. Antonio Dela Cruz, President of Davao City Chamber of Commerce and Industry, Inc, Roberto Alabado, Regional Director of Department of Tourism, Region XI, Ludwig Federigan, Vice President for Business Operations, Hon. 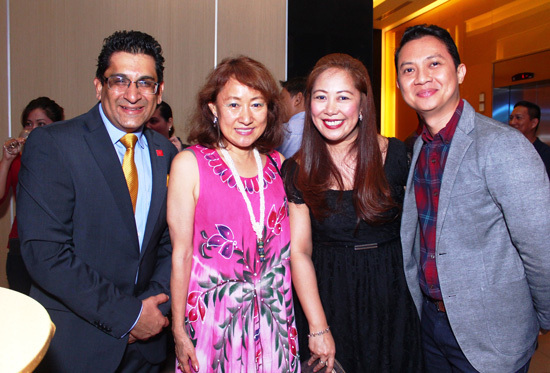 Abdullah Zawawi Tahir of Ministry of Foreign Affairs, Malaysia, Ruben Bangayan, Pavan Kakar, General Manager of Park Inn by Radisson Davao and Neil Rumbaoa, Vice President- Marketing, SM Hotels and Conventions Corp. 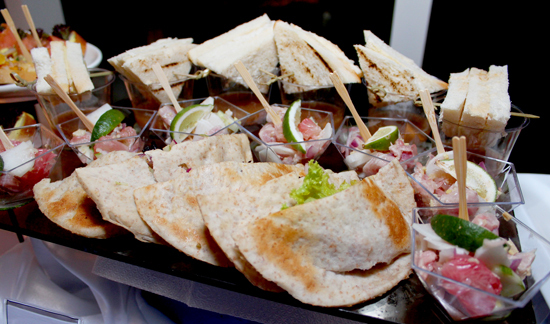 Guests were served with savory items and delectable desserts such as Grilled Cheese Mini Sandwiches with Tomato Soup Shooters, Smoked Salmon Rosette, Cucumber Cups with Pineapple Cream Cheese, Sesame Chicken Pocket Salad, Shrimp Pops, Chicken Tikka Masala, Peppermint Brownies, S’mores Juniors, among others. 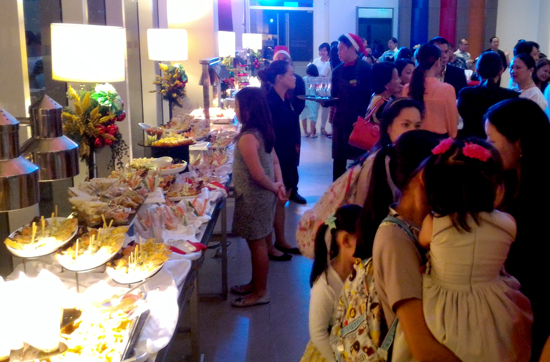 Follow @parkinndavao on Facebook, Twitter and Instagram for more details on holiday packages and dining events. For bookings, call +63 82 272 7600 or email reservations.davao@parkinn.com.